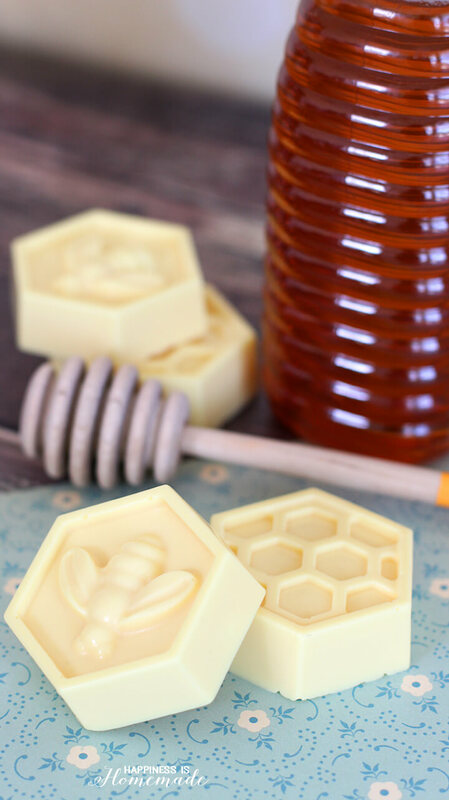 This easy DIY Milk and Honey soap can be made in just 10 minutes, and it boasts lots of great skin benefits from the goat’s milk and honey! 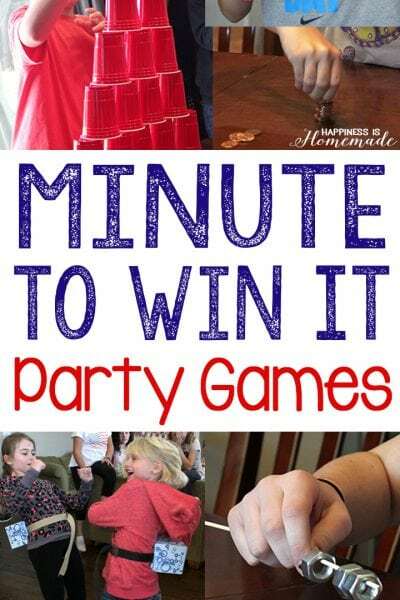 A wonderful quick and easy homemade gift idea! 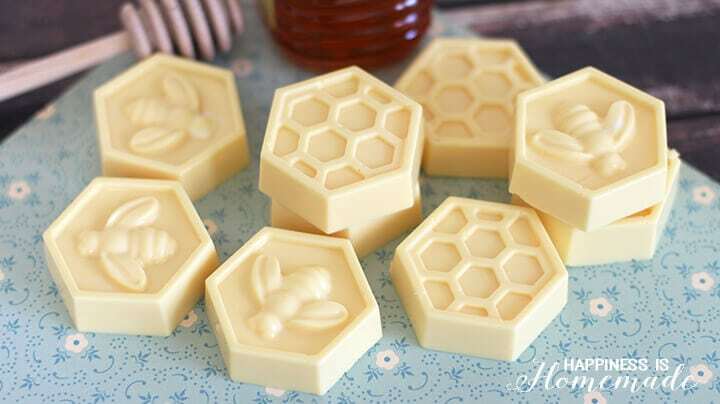 Milk and honey soap has always been one of my favorites. 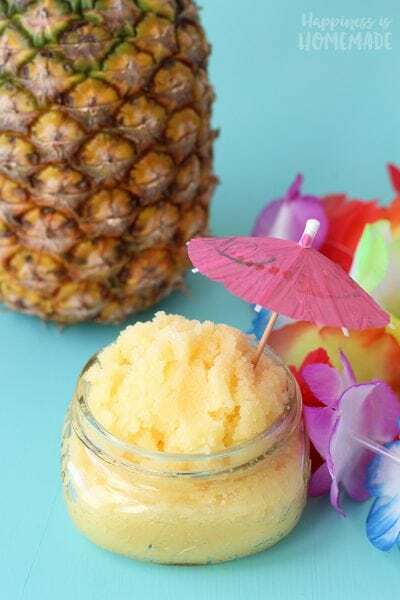 It smells divine, and there are loads of skin benefits from the honey – it’s moisturizing, clarifying, soothing, and also naturally antibacterial. Because of these properties, honey is fantastic for the treatment of acne and aging and for general complexion brightening. C’mon now, we all could use a little bit of anti-aging and complexion brightening, right? 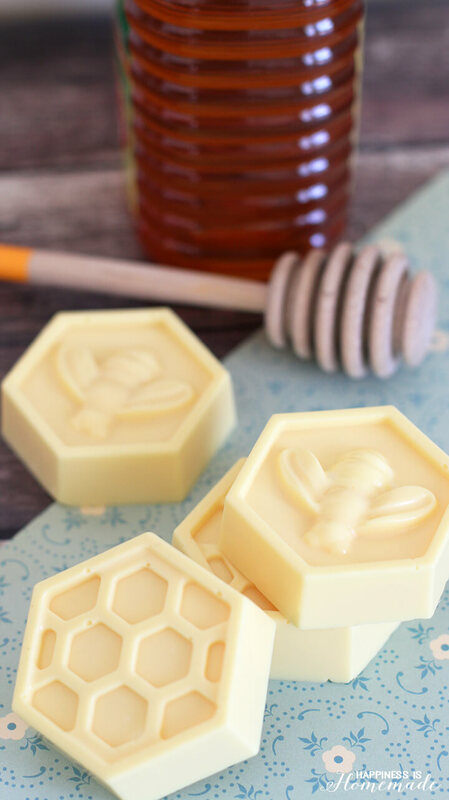 I love these soaps for their sweet delicate aroma and for the great skin benefits, but what I love even more is the fact that I can whip up an entire batch of these beauties in under 10 minutes! They’ll take a little longer to firm up, but the actual “work” part is done in less than 10 minutes. I didn’t take any step-by-step photos of the soap making process this time, but I did make this video! If you want a better look at the steps involved, check out my Exfoliating Coffee & Milk Soap tutorial. I use about 1 lb (or half of the block) of soap base at a time which makes nine of these honeycomb soaps or four large 4-ounce soaps. The block of goat’s milk soap base is soft, and it cuts easily with a kitchen knife. 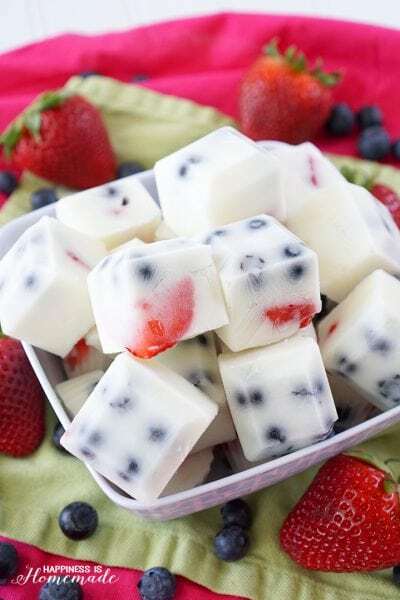 I slice the soap base into cubes, place them inside a 4-cup Pyrex measuring cup, and melt in the microwave. Melt in 20-30 second increments, stirring well after each microwave session, to ensure that the soap is completely melted. For 1 lb of soap, I generally microwave for 30 seconds, stir, microwave for another 30 seconds, stir again, and microwave a final time for 20 seconds. 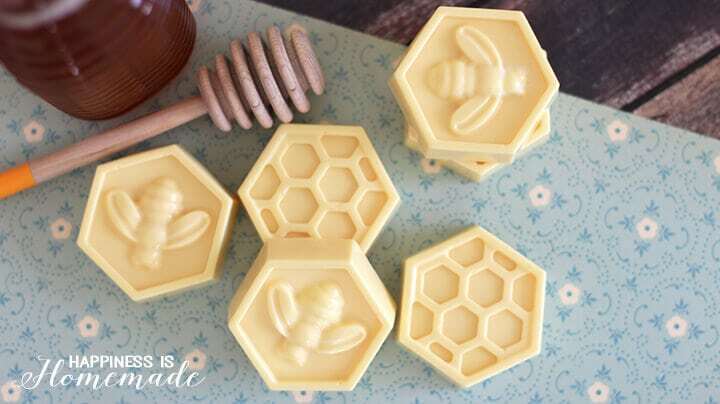 When the soap is completely melted, stir in 3 tablespoons of honey and a few drops of yellow soap colorant. I also added one drop of red colorant to give my soap a more golden hue. 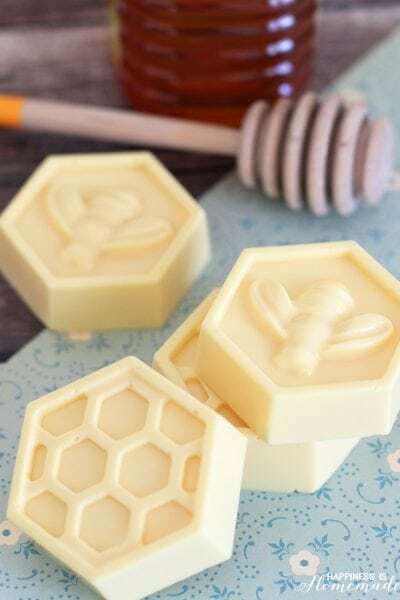 Pour the melted soap into the honeycomb mold, and allow to sit undisturbed until cool. The cooling process can take anywhere from 30 minutes to 2 hours depending on temperature and humidity levels. When the soap is cool and firm, carefully remove them from the silicone mold. 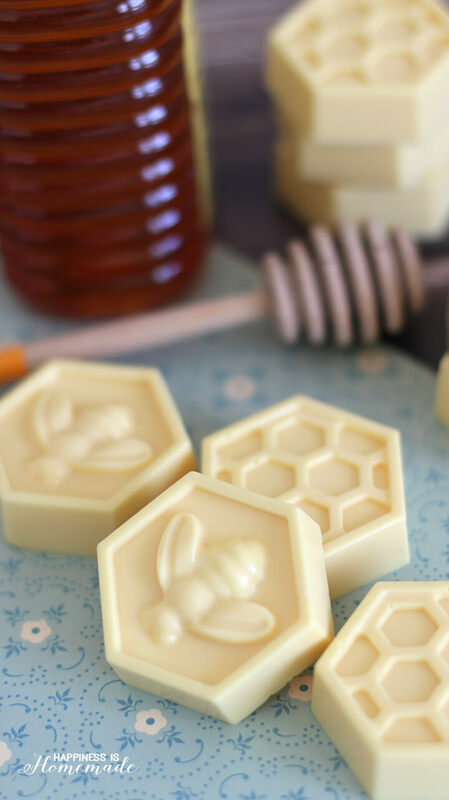 These DIY milk & honey soaps make a fantastic homemade gift – perfect for friends, family, teachers, coaches, and neighbors! 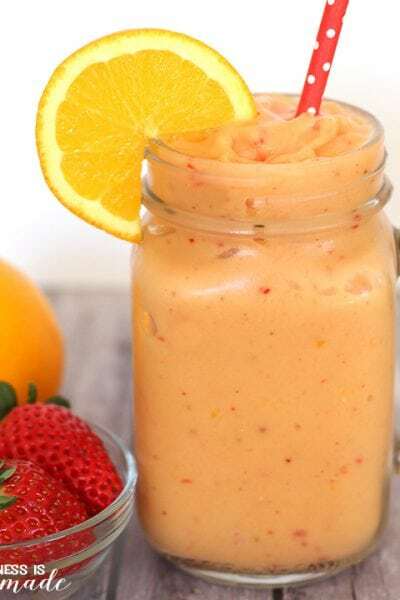 They’re great for fundraisers and craft fairs, too! I really want to make some soaps for add-ons to Christmas gifts this year. 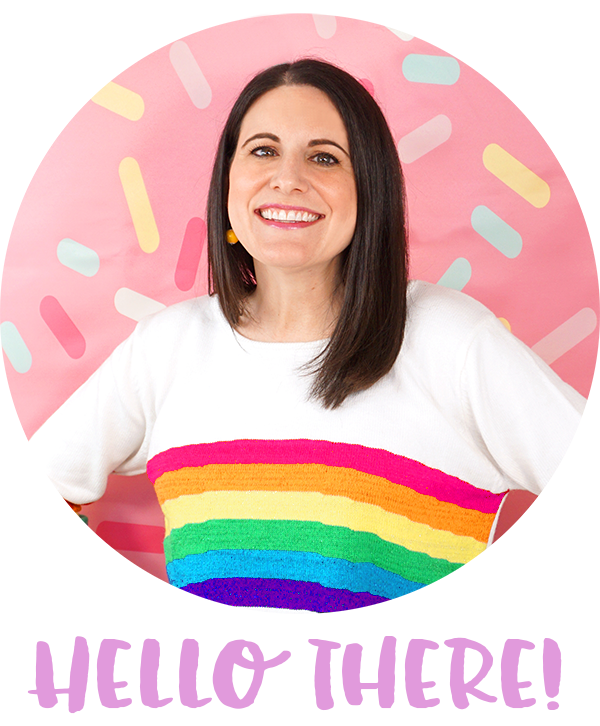 I am going to make 12, 4oz bars – is tripling the recipe going to work for this? Also! How long does the soap last once made? And how should it be stored? I don’t want to make it too early. I just made this ~ so lovely! I lightly ground up some oatmeal and added it as well. It had a slight bit of texture and gives it a more earthy look. Perfect for gifting to neighbors and co-workers. Thank you! Hi! 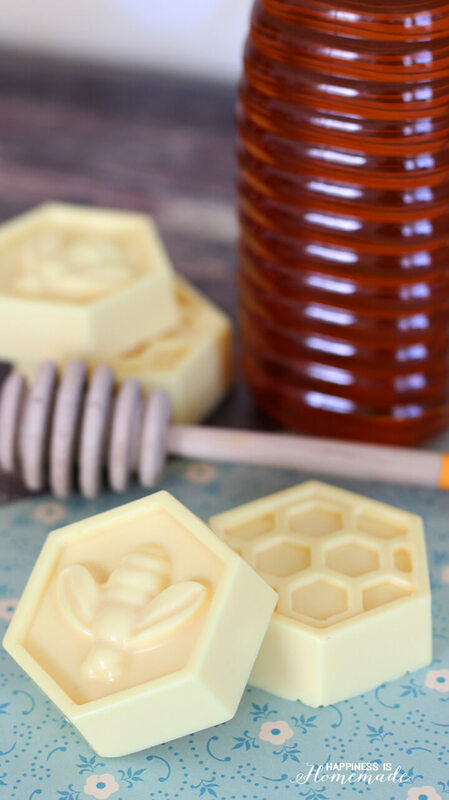 I am very eager to try this homemade soap recipe. I make homemade candles and some soaps would be a great addition to my collection. I do have a question about the molds. 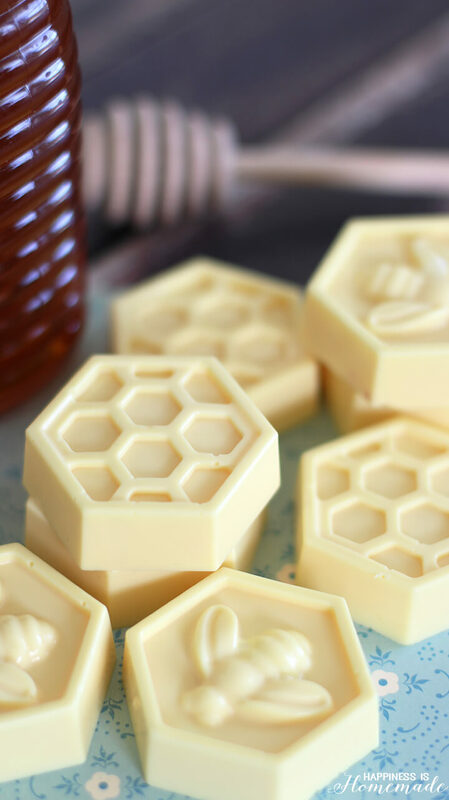 I would like to have a more plain/simple finished product so if I would make this without the honeycomb mold, is there a recommendation for a substitute mold? 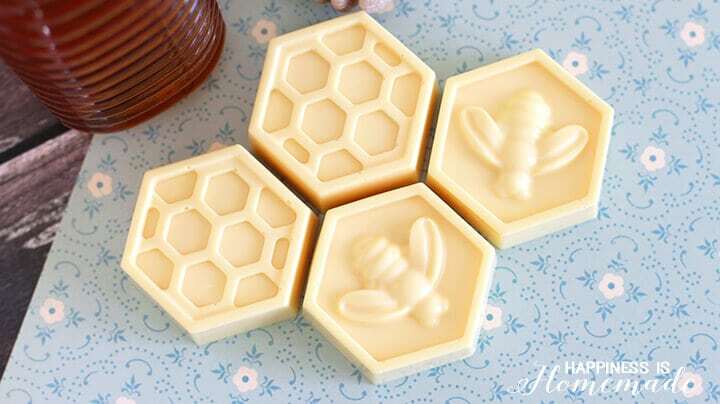 I’m trying to convey that I would like the same size/portions of the soaps but no honeycomb design. I’m planning on trying my hand at soap making with my two granddaughters next weekend. I plan to use this recipe. I see that you say to use a silicone mold. Would the plastic molds work as well? Hey Heidi! Do you know about how many soaps this makes?